A: Paige Donner: My enthusiasm for protecting the environment stems from having grown up on a Pacific Island and in California, alternatively. My brother and I would spend part of the year with my father in California where we would camp, hike, go on vineyard treks in Napa and Santa Barbara where my grandmother lived…and then with my mother in Guam and Hawai’i where we were raised like earth-bound dolphins – when we weren’t SCUBA diving we were surfing or swimming or water-skiing. Also, I was homeschooled from grades 6-9 so I was able to pursue tailored coursework about the environment and natural landscapes that might not have been available to kids learning from regular school curriculum at that time in the mid-70s. Then, early on in my career as a journalist, I worked with a morning news producer at KTVU-Oakland. She allowed me to develop and pitch a series of 2-minute segments that we called “Earth News.” It never really got off the ground, but it was good training. That was the early 90s. It wasn’t until the digital revolution that I was free to report on environmental issues as I wished. So in the 2000s I began writing a column called Greening Hollywood, which married my years spent as an entertainment reporter with my passion for environmental issues. Q: Sara Coppola: How was the idea of this project born? A: Paige Donner : I feel I am most naturally expressive as a filmmaker. Since journalism is my professional background and the career I have pursued for 20 years now, a documentary about this compelling subject matter makes perfect sense. This project in particular is based on the article assignment I did for the International Herald Tribune (the global edition of the N.Y. Times) which published in November 2011. I pitched an article about this subject to my assigning editor at IHT and he helped me to refine the angle and the approach. This documentary builds upon that one-page article and allows greater in-depth analyses and examination of Wine And Climate Change as well as allowing for the incorporation of up-to-date and newly released climate science reports. Q: Sara Coppola: How do you think this documentary will contribute to the vineyards´ environmental problems due to climate change? A: Paige Donner: In fact I feel this documentary will contribute to vineyards’ coping successfully with challenges that predicted climate change and climate variability in this century are forecasted to manifest. When we are caught by surprise or unawares, that’s when the most damage can take place. When we are prepared, we can adapt beforehand and put in place certain measures to ward off significant impacts. An example would be Hurricane Sandy (that recently hit NY and the U.S. East Coast). 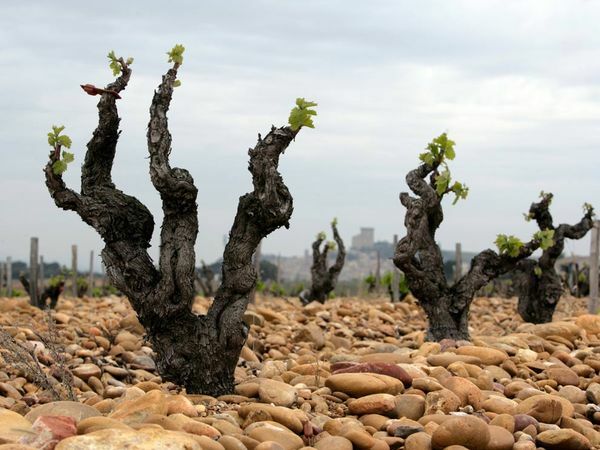 The greater advance warning, the more safety measures can be taken to preserve and protect.Another example is the case of Phylloxera, a disease that ravaged Europe’s vineyards at the beginning of the last century. Had the vineyard owners and managers been forewarned before this disease was imported from America, they may well have been able to take measures to protect against the devastation of their vineyards. We may have some justification in drawing similar parallels now, though climate change is not a disease but rather a disruption and departure from known climate patterns. It’s also crucial to point out that one of the main points made by some climate scientists is that if and when vineyards are unalterably changed due to climate fluctuation, our other agricultural crops will also be severely impacted. So this documentary is as much about the future of wine vis a vis climate change as it is about the future of global food security. Q: Sara Coppola: What tangible and realistic steps do you think the global community could undertake to slow down climate change? A: Paige Donner: That is a huge question. And it’s one I will be tackling in the documentary. It is one of the questions I will be putting to some of the world’s leading climate scientists and environmental leaders. Of course, one of the studies I will be examining more closely in the documentary is the newly released report titled, Too Late For 2ºC, which more or less states that we are already past the point of no return. A: Paige Donner: I’ve made personal commitments to live a sustainable life all around, practiced on a daily basis. I keep my personal consumption within reason. I use alternative energy sources whenever available. I’m also a fan of electric vehicles. I’m an advocate of local food production/consumption. As for shopping, I personally appreciate the creativity displayed in upcycled fashion and accessories. A Cradle 2 Cradle approach to design and manufacture is something that resonates with me. Q: Sara Coppola: Thank you. A: Paige Donner: My pleasure. Thank you for your interest.